Pollution and neglecting basic rights and obligations are factors which force us to act in a responsible manner. We are aware of the importance of our acts and the consequence they can have for our world. WESCO commit themselves to following ethical practices which are essentials for the respect of our planet and its population. For Wesco, a long term commitment means building up long-term partnerships with its customers and suppliers to enable them to invest in new equipment and the creation of long-lasting employment. This long-term commitment between Wesco and its partners is dependant on their acceptance of the Wesco Code of Conduct. This code of conduct guarantees that the rights of workers employed by every company or organization are respected. Environmental safety is an important part of our commitment to sustainable development. 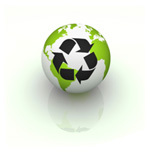 Wesco’s environmental policies involve for examples the following actions. Mail order uses a lot of paper. Since 2005, Wesco has reduced the format and the basic weight of their catalogs, which therefore saves 75 tons of paper. Moreover, Wesco ensures that the paper used for its catalogs comes from forests which are managed with sustainable development in mind. As far as the warehouse is concerned, a revised packaging line to adapt the size of packagaing to their contents is in place, allowing us to reduce our packaging consumption to the strictest degree necessary. On a smaller scale, our packaging allows us to optimise the transport flow : less transport therefore les trucks which contributes to a reduction in pollution. Wesco offers a very large range of wooden furniture and games. For these items, we pay a lot of attention to the origin of the wood and do not use wood which comes from illegal logging or from the primeval forests. For several years now, we have intensified the selection and manufacturing of our products, using replenishable wood or bamboo for example. 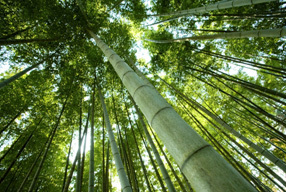 Bamboo grows quickly and abundantly like enormous blades of grass. Using this contributes to the preservation of the environment and the ecological balance of the planet.